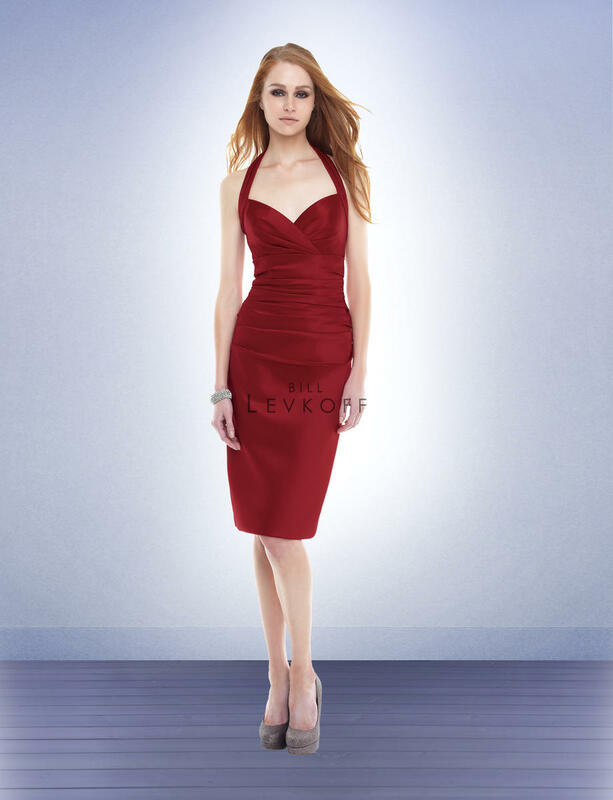 European Satin cocktail dress with a sweetheart neckline. Pleated halter straps hook behind the neck. Soft gathers and pleats shape the tube dress.